Denny Jump (Bellevue, WA, United States) on 23 October 2018 in Lifestyle & Culture. 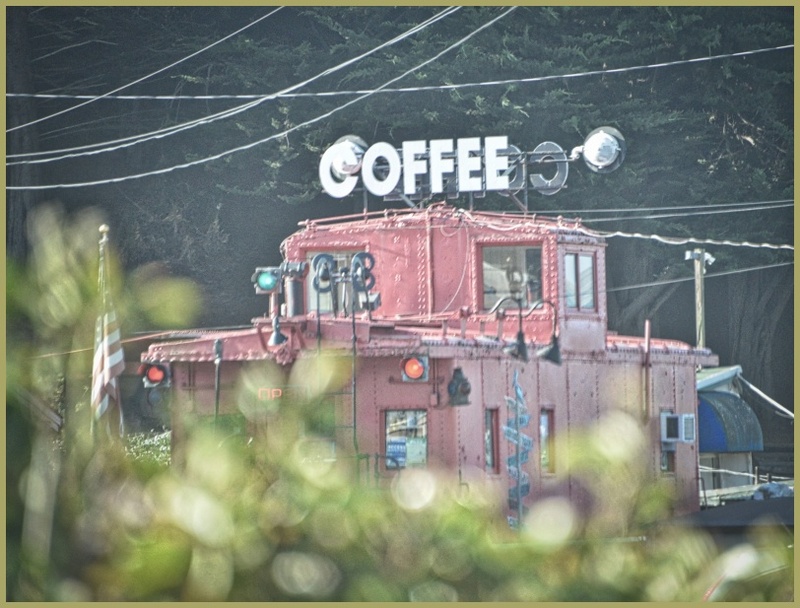 About 30 miles south of downtown San Francisco, this old caboose has been turned into a roadside coffee stop along California Highway 1 - aka the "Pacific Coast Highway or, to those more familiar "PCH"
We stopped here - and the coffee is really good! (I recommend the Italian Roast)! Just a word of caution, the Pacific Coast Highway (PCH) traffic volume can be much more congested than years ago in the days when I was in High School and we would "tool" down the coast in my friends Morgan Plus 4 (British Racing Green)!..... However, this part of the California Coast still retains that awesome charm despite the fact that there sure are a lot more cars on the road!! Guy near me is selling a Morgan Plus 4, 1957, for &30,000 . . ah, those were the days. Memory lane, thanks for sharing and explaining PHC. Original coffe stop. It seems a painting. Typo correction: Just to feed the Soul!!! A coffee train! My kind of place. A great image! I was just out that way and I would have stopped if I had seen it. I agree, the traffic is so much more than what I remembered from 30 years ago. @Elaine Hancock: Thank you, Elaine...Yah the traffic is insane most of the time ;-) Cheers my friend!